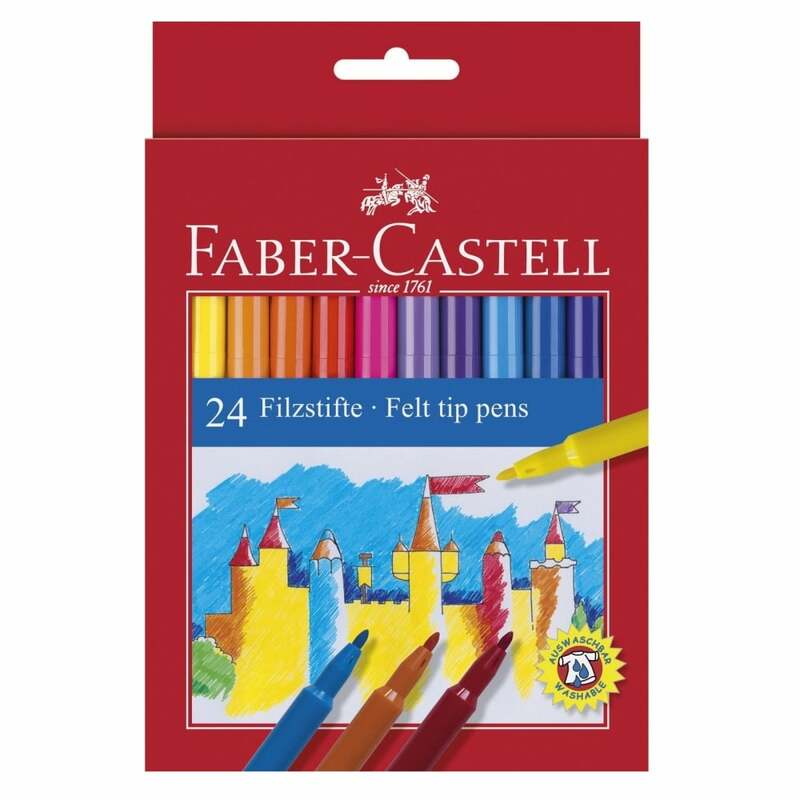 This Faber-Castell felt tip pen set includes 24 pens in an attractive cardboard box. These fibre-tip pens have a robust points and are ideal for drawing on paper, cardboard and wood. Their bright ink colours are water-based and coloured with food dyes, so can be easily washed out of most fabrics. For felt tip pens they are very good quality they have a smooth action and good colour laydown.